Drum rings (o-rings) are a cheap, quick, and easy way to reduce ringing and sustain, fatten up your sound, and control hard-to-tune drums. These are drum rings that stop the ringing. 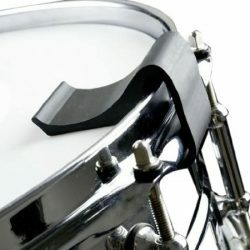 Drum rings, or o-rings, are rings of plastic that sit on top of your drumhead. 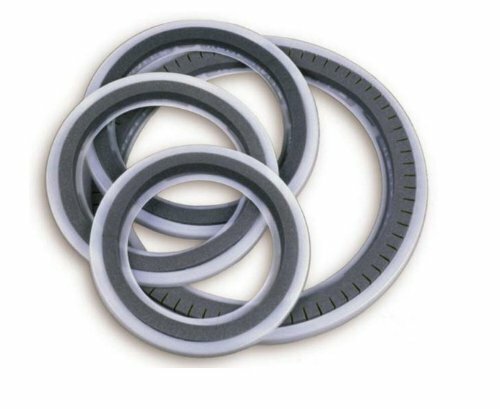 People call them drum rings, o-rings, e-rings, drum control rings, drum dampening rings, or drum muffling rings… all of these names mean the same thing. 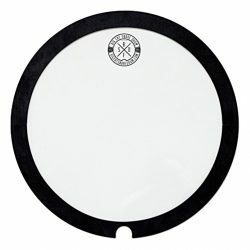 These drum rings cut out the overtones that occur around the edge of the drumhead, and reduce the sustain to provide a much more focused drum sound. So what does this actually mean? With o-rings, you’ll remove strange ringing from your drum kit, and get a nice deep thud. O-rings will reduce ringing overtones, especially with medium and higher tuning, or will allow you to tune very low for a deep fat sound. How do drum o-rings work? 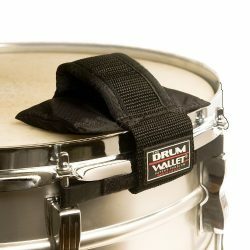 Drum rings are used by drummers of all skills levels, from beginners right up to professionals. Drum rings are useful if you’re struggling to tune a drum, or if your drum is in bad shape and just won’t tune well. They’re also perfect if you’re looking for a specific drum sound, whether you’re playing live or recording in the studio. 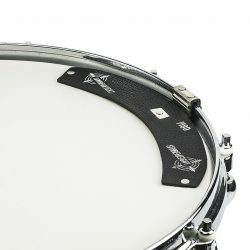 If you’re having a hard time tuning, all of the drum rings further down on this page can help. Drum o-rings work by dampening the edge of the drumhead… The strange ringing you might hear from your drums (the overtones) occurs here, around the edge of the head. When overtones sound bad, it’s usually caused by differences in tension between each lug (the drumhead is tighter in some places than others). To fix this, try to get each of the lugs as even as possible when tuning. For people that really struggle with this (or for people with hard-to-tune drums), using a drum ring will help. Drum o-rings are also great for performing or recording in the studio. 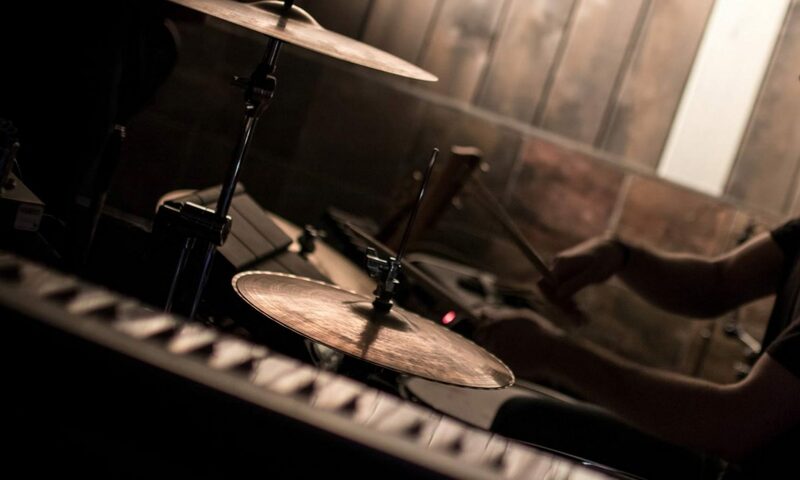 Often it’s important to change your drum sound to suit a particular track, and the different types of drum rings available are perfect for doing this. Depending on the rings you use, you can get completely different drum sounds (without having to buy a whole new drum kit). 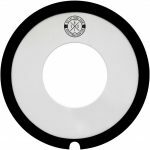 Drum rings are also easily removable, with no sticky reside – stop using duct tape on your drumheads! 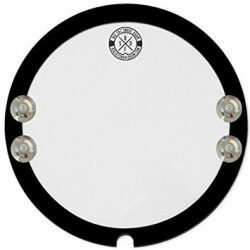 They usually just sit on top of your drumhead, meaning you can install and remove them in less than a second, to quickly change your drum sound. 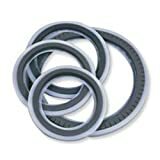 What are the best drum rings? When it comes to drum rings, there are a few really great options available. The simple rule with drum o-rings is: the thicker they are, the greater dampening effect they’ll have on your drum sound. 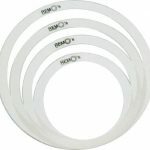 There are some great (and inexpensive) retail drum o-rings available if you don’t have old drumheads just lying around. Remo RemOs and Evans E-Rings are two of the best, and they’re cut to different sizes to suit your drums. They’re also (probably!) more consistently cut than your home-made drum o-rings from old drumheads. These drum rings usually come in packs, so you can set up your entire kit instantly. You can also buy them separately if you need an o-ring for just one drum. 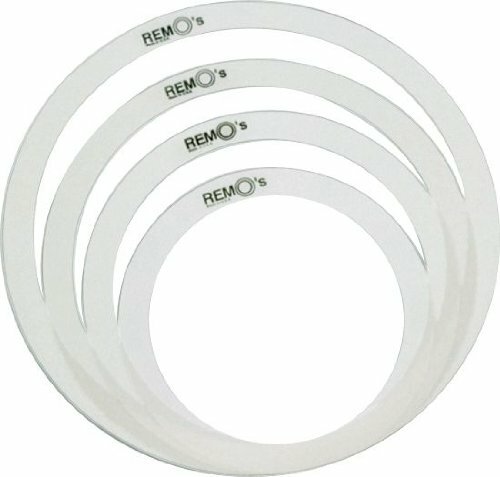 So what’s the difference between Evans E-Rings vs. the Remo RemOs drum rings? 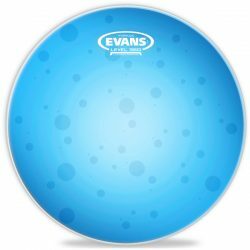 The Evans version is slightly thinner than the Remo o-rings (with Evans therefore giving slightly less dampening) – keep this in mind if you’re choosing between the two. Both are top quality and should last you forever if you treat them well. Another option is the Remo Muff’l control rings, which are o-rings that give a more extreme amount of dampening. This is due to the foam rings mounted to the underside of the ring. These o-rings will cut overtones and sustain a lot more, and give your drums a much warmer tone. The resulting sound is deeper, punchier, and shorter. If this is the drum sound you want, then Remo’s Muff’l drum rings are perfect for you. If you have extremely hard-to-tune drums, these are also a good solution. 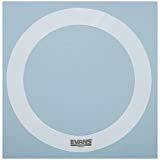 Evans E-Rings Snare PrePak - 14x1",14x1.5"
Remo RemOs Tone Control Rings Pack - 12", 13", 14", 16"
For an even more dramatic change to your sound, check out the Big Fat Snare Drum. The Big Fat Snare Drum takes drum o-rings to the next level, and will give a nice deep fat thud to your drum sound. This product is much thicker and wider than a regular o-ring, and has rubber around the edge to ensure it stays put when you use it. The bulkier design means that your drums become fat (as the name suggests!) 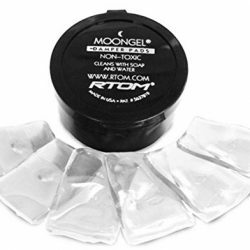 – these drum rings give you a deeper, quicker, punchier tone. 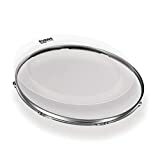 As well as the regular Big Fat Snare Drum ring, there are some other options available to fatten up your drum sound, and also a version with tambourine jingles: the Big Fat Snare Drum Snare-Bourine. Here’s a great video showing what the different Big Fat Snare Drum rings can do. 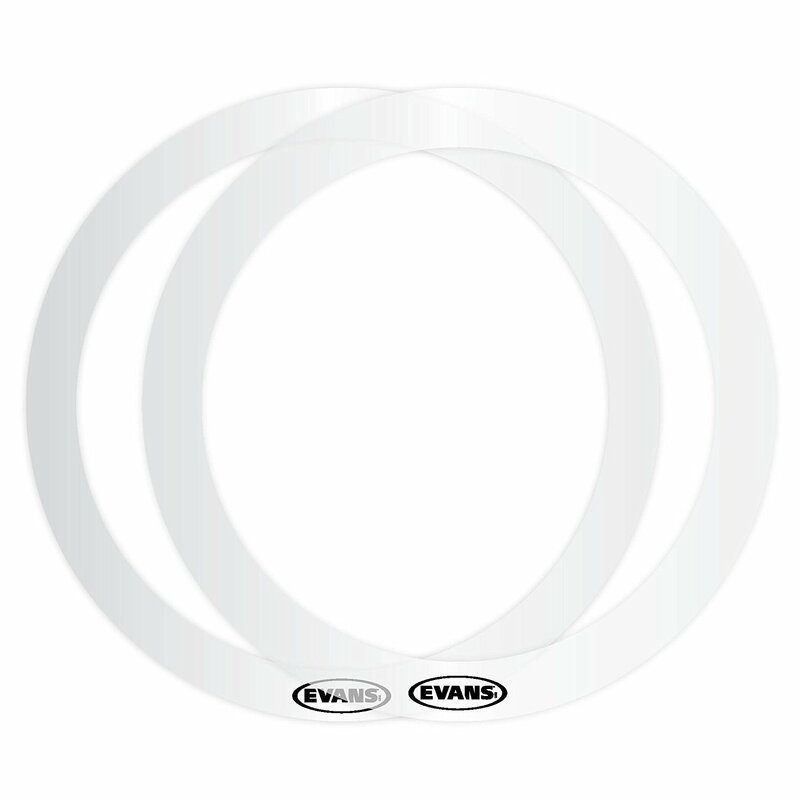 Drum o-rings are great for controlling the ringing overtones and sustain of your drum kit. Depending on their thickness, you can have a small change in drum sound, or a dramatically different tone. Tip: If you’re looking for a deep, focused, fat drum tone, take a look at our huge article on how to get a fat snare sound. As well as using drum o-rings, this article covers some different fat snare drum tuning methods, tips, and other products out there that will give you a focused, punchy, and deep sound. You can even apply most of these tuning techniques to your other drums. 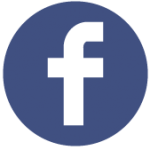 Want more free drum articles, reviews, and guides? Take a look at the in-depth guides and drum articles. 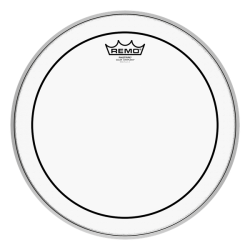 Find the best drumheads for your sound and style with the web’s best drumhead search engine. See every Aquarian, Evans, and Remo drumhead compared side-by-side with the ultimate drumhead comparison chart. Take a look at some of the best music gear available, with our huge list of the best music gifts for musicians and music lovers.